For all of you awesome commuters, here’s a bright idea. Bring your own bike lane, for increased visibility, even when the streets don’t offer one. 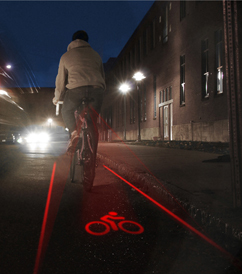 Though we’re pretty sure that SDOT would take issue with using lasers on the street.